When tooth decay or damage affect one of your front teeth, restoring the aesthetic appeal of your smile is just as important as repairing the tooth. Dr. Hoa Vong, your dentist in Richmond, can achieve both with an all-ceramic restoration. Completed in two visits to VL Dental, all-ceramic crowns, bridges, inlays and onlays are durable restorations that blend flawlessly with the surrounding tooth enamel. They are also called caps for a reason. Dental crowns are thin, tooth-shaped coverings that surround the damaged tooth down to the gum line. The dental crown is a good option for repairing broken, weak, worn, severely decayed, or cosmetically damaged teeth. It may also be used in single tooth replacement, when supported by a dental implant. While the dental crown can be made out of a number of materials, including porcelain fused-to-metal, silver, gold, and other metal alloys, ceramic crowns are preferred for restoring teeth in the smile zone. When you have lost one or more teeth in a row, a dental bridge may be the best replacement option. An all-ceramic bridge is strong, long-lasting, and undetectable against the surrounding tooth enamel. To place a dental bridge, a crown is secured on each tooth surrounding the gap. These two natural teeth act as anchors for the ceramic prosthetics that create a literal bridge over the space in between. A fixed bridge is cemented in place and cannot be removed for cleaning. When you have too much tooth decay for a traditional crown but have enough healthy tooth enamel to benefit from something more conservative than a crown, the inlay/onlay provides a good solution. Unlike traditional amalgam or tooth-colored fillings, the indirect filling is made of porcelain, created outside of your mouth and placed after. Once you have your smile health restored with an all-ceramic restoration, maintain excellent dental hygiene to keep it and your surrounding teeth and gums healthy. Your crown, bridge, inlay or onlay can be cleaned using the same methods as the rest of your smile. Brush your teeth for two minutes, twice a day, floss daily, and visit your dentist as recommended. Spend extra time on the area at the base of your crown or bridge to prevent plaque, tartar, and bacteria buildup. Dr. Vong will continue to check in on the stability of your restoration in regularly scheduled appointments. With proper maintenance, you can expect your all-ceramic restoration to last for many years. You should remember, however, that no dental work will last forever. Notify your dentist if you start to notice your crown, bridge, or indirect filling loosening or becoming uncomfortable. Prompt attention prevents more serious issues, like additional decay or injury to the soft oral tissues. 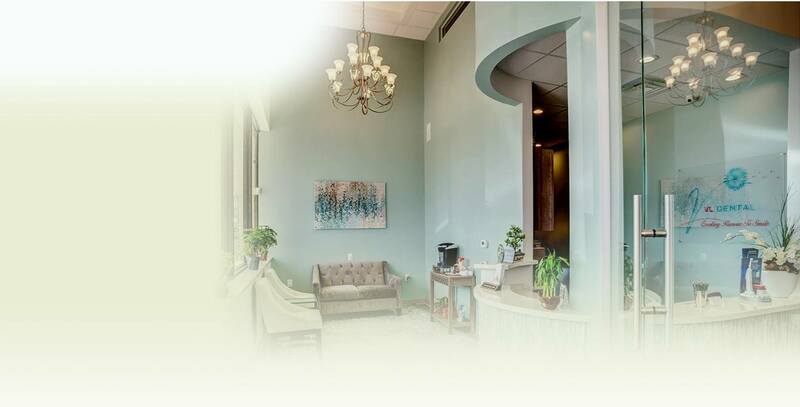 With an all-ceramic restoration, Dr. Vong can restore the health of your smile while also preserving its natural beauty. Find out what is possible at VL Dental! Schedule an appointment with your cosmetic dentist in Richmond today.